I hope this letter finds you well and ready for the holidays. Each and every day in the Van Vleck ISD we work extremely hard to achieve the vision and the mission of our school district. By focusing on IMPACT’ing every child, in every classroom, and on every day, we are committed to making our school district an extraordinary place to be - one student at a time. Starting with the 2017-2018 school year, the Commissioner of Education will label every public school and school district in Texas with a rating in the form of an A-F letter grade to comply with House Bill 2804. This grade is based primarily on a student’s performance on one test, the STAAR. STAAR is a criterion-referenced test that measures a student's performance in comparison to the curriculum standards, the Texas Essential Knowledge and Skills (TEKS) for a subject area and grade level. In order to prepare for the implementation of these ratings in 2018, on January 6, 2017, the state is publicly issuing preliminary A-F ratings based on 2016 testing data as a trial to inform schools and school districts what their grades would be if these ratings were applied this year. The primary arguments supporting the use of A-F ratings are that it simplifies the explanation of school and school district quality while at the same time helps improve student performance. I would like to take a moment to address some concerns regarding this rating method and the arguments that are used to support it. First, the notion that A-F ratings provide simplicity in understanding school and school district quality is extremely misguided. The rules behind the A-F rating system appear simple on the surface but upon further analysis yield neither simplicity nor transparency. 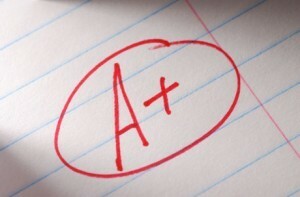 In Florida, which was the first state to implement the A-F ratings, the explanation of how to determine the A-F grades takes dozens of pages of technical explanation. The reduction of a school or school district to a single grade misrepresents a large proportion of what occurs in schools. It has the predictable effect of telling a school with a good grade that all is well and telling a school with a low grade that all must change, even though neither can serve as a true indicator of the quality of work that is being accomplished. A-F ratings will create confusion among educators and fail to offer the public useful or accurate information about their schools. This method is anything but simple. Furthermore, the calculations required to produce one grade can yield vastly different results in schools that perform similar statistically while assigning the same grade ratings to schools that are significantly different. With regard to student performance, no rigorous research exists that shows that any rating system, by itself, improves performance. In fact, a letter grade will convey no information about where or how a school needs to improve. The A-F system, just like the current accountability instrument, will continue to be based primarily on once per year state testing. Furthermore, the letter grades will very likely align with a community’s relative level of wealth. As we have seen in other states, grades of ‘D’ or ‘F’ are highly correlated with schools that serve large numbers of economically disadvantaged students. In this way, the A-F system will create a false impression about an entire community of children and provide an inaccurate and unfair reflection on the students and the school community. We should never have a state accountability system that punishes schools and school children for the economic situation that exists in our communities. We certainly realize that across all education arenas there is much discussion regarding the use of standardized testing as a reflection of student learning. The heavy reliance on standardized testing as a tool in the evaluation of student, teacher, school and school district success will continue to be greatly debated. And while that debate continues, we will continue to keep you informed and our commitment to prepare our students for a future of hope and endless possibilities will never waiver. It has been said that great teachers inspire their students to believe they can become great. We are truly appreciative of all of our “great” teachers, administrators, support staff and Board of Trustees for inspiring even the smallest of hearts to grow big enough to change the world. As we move forward to implementing the new changes in the A-F accountability system we will remain steadfast in our commitment to become an exceptional school district; one student at a time. I hope all of you have a truly relaxing and blessed holiday, and Merry Christmas.